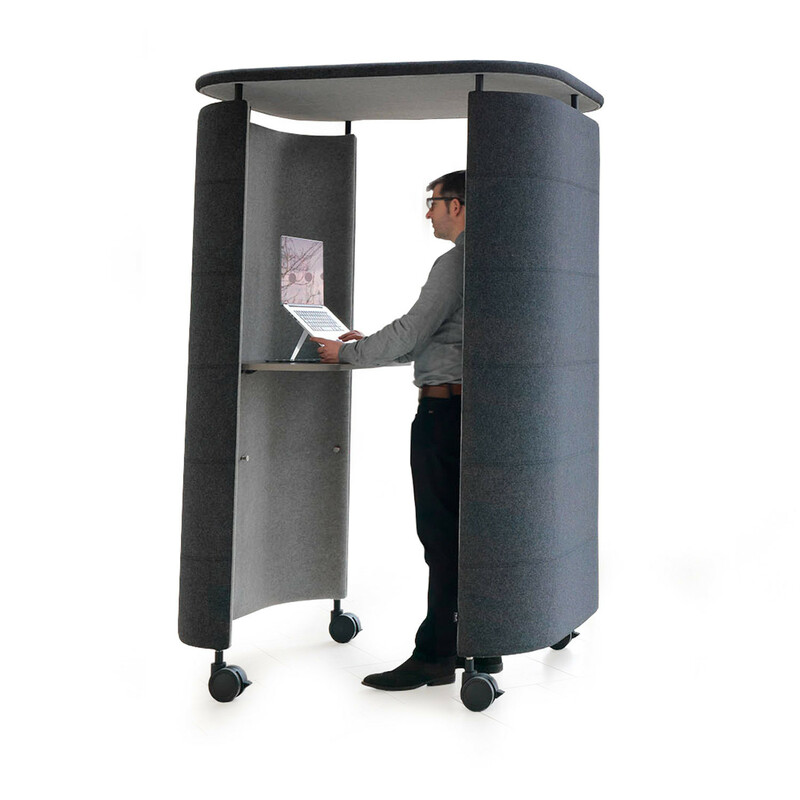 InnoPod® mobile workstation is an acoustic privacy unit that can be used in the open plan office to create focused work areas. 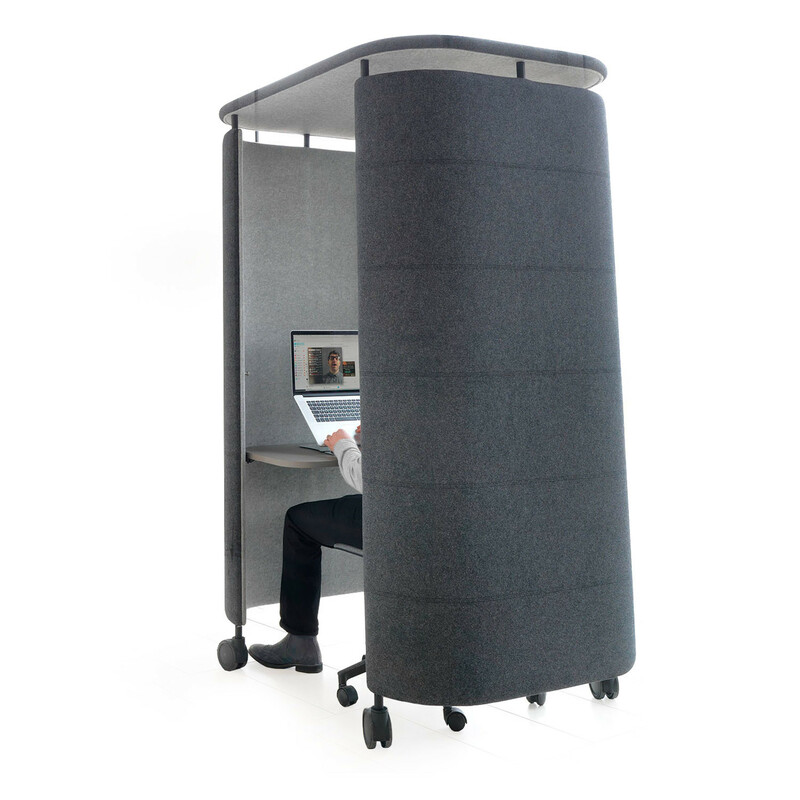 InnoPod is a single user privacy workstation that gives a user an acoustic buffered space from surrounding environmental noise. 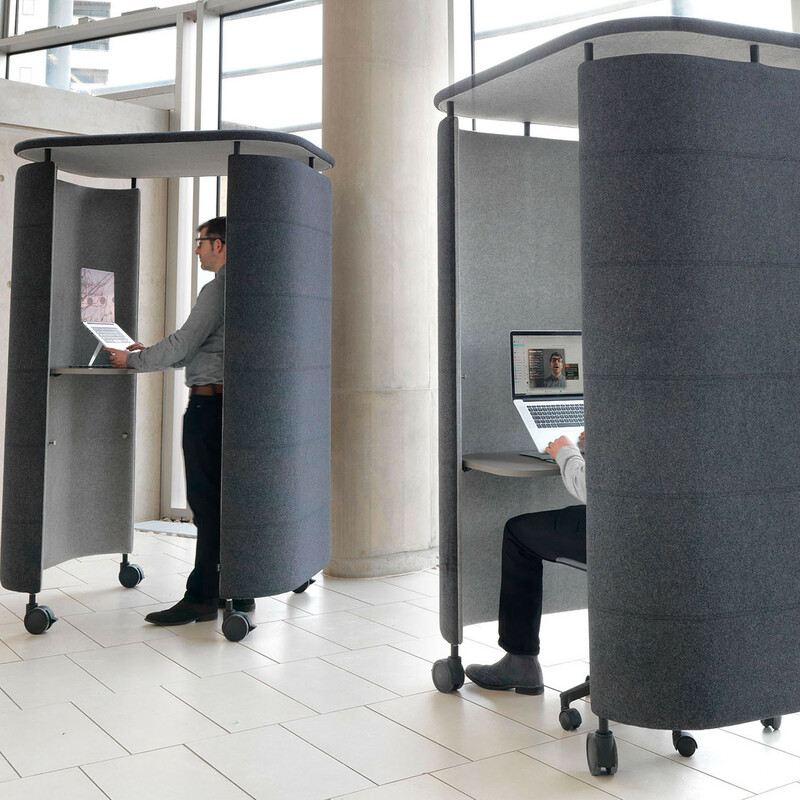 Fitted with large castors, you can move InnoPod® anywhere in the office or rotate it to create a barrier, shielding you from a visual and acoustic distraction. InnoPod® comes standard with a easy to use adjustable worktop allowing you to change the desk height to either sitting or standing height. InnoPod® is ideal for large office environments, busy areas, or anywhere where you need a touchdown workplace. The unit takes up about 1 square metre, and can also be used together to create banks of flexible working areas. You are requesting a price for the "InnoPod "
To create a new project and add "InnoPod " to it please click the button below. To add "InnoPod " to an existing project please select below.